Sunstar has shown off the next batch of art for their upcoming Digimon Adventure 20th Anniversary stationery products! So Sora is wearing Sandals with no socks in the rain? Very bold of her. The fact that she's not wearing her hat and how tall she looks next to Koushiro even when she's a bit hunched over almost made me think it was her Zero Two Design. They also chose a really strange spot to put her crest. It's not standing out at all like it does with the other characters and I couldn't even find it for a while. I thought maybe her bracelet which also has some heart shaped designs could be where it but the shape wasn't matching up closely enough... and only then I looked near the collar and noticed it, it just blends in so much with the rest of the red outlined pattern. 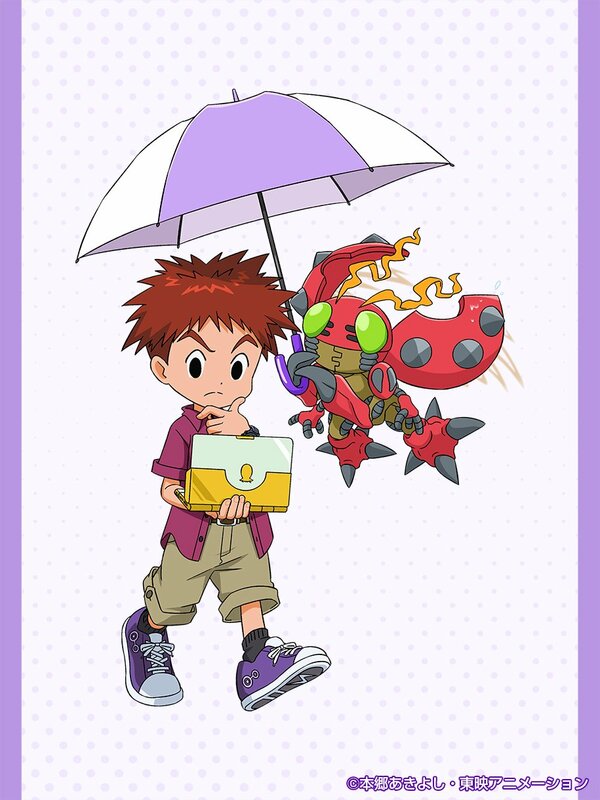 Not much to say about Koushiro... although it's very cute how Tentomon needs to use both his claws to hold the umbrella. 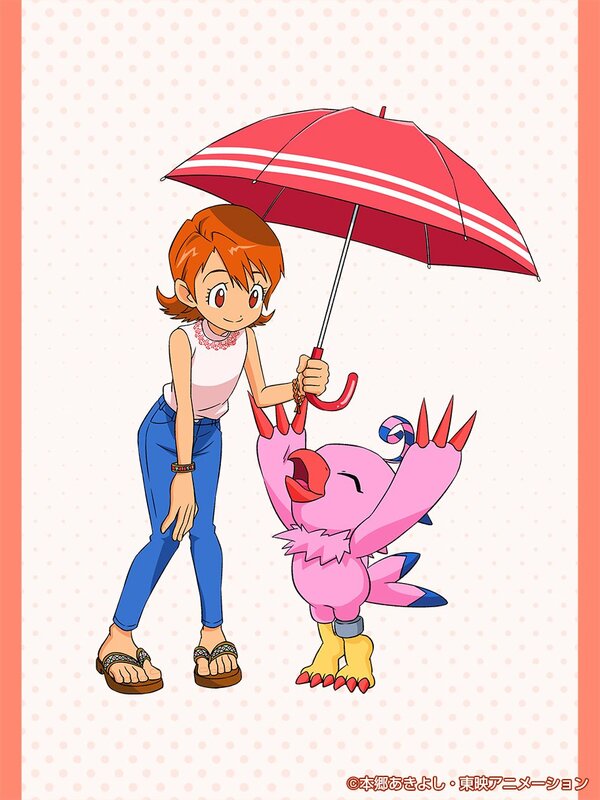 The theme of Digimon being inefficient at holding things definitely needs to be explored more thoroughly. That is really cutely done. I wonder who's next.